M1-D Gimbal PTZ Thermal imaging IR Camera for Ground, marine, airborne UAV / All Weather payload – Low cost EO-IR FLIR system. 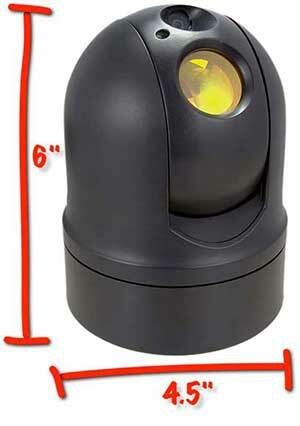 ***NEW*** CLICK HERE — SPI just introduced the worlds smallest military grade multi sensor EOIR/FLIR Thermal Imaging gyro stabilized gimbal turret. The M2-D is an all weather UAV GIMBAL with optical zoom telephoto payload that’s suitable for all UGV/UAS/UGV, multi-copter unmanned systems. Weighing in at a mere 160 grams, the M2-D is also the lightest Drone FLIR + EO multi sensor Multi Spectral, multi axis precision rock steady stabilized gyro stabilization gimbal telescope available anywhere. The system is ideal for commercial, industrial, law enforcement, military and a wide array of unnamed imaging applications where top grade mechanical and electrical innovations cross paths. At under $9,995 the unit is priced less than half of any systems available in the market. Contact Mike at spicorp@me.com for additional information. The M1-D is an affordable, rugged military grade all weather gimbal PTZ system ideal for UAV, Airborne, ground, land, marine, sea, border, fixed, specialty integration and custom applications. The unit offers unparalleled high performance gimbal turret at a fraction of the cost of other systems available ANYWHERE! Call us or email us today for your custom configuration options! The M1D All Weather Gimbal with Thermal FLIR Camera, CCTV Camera & Laser. 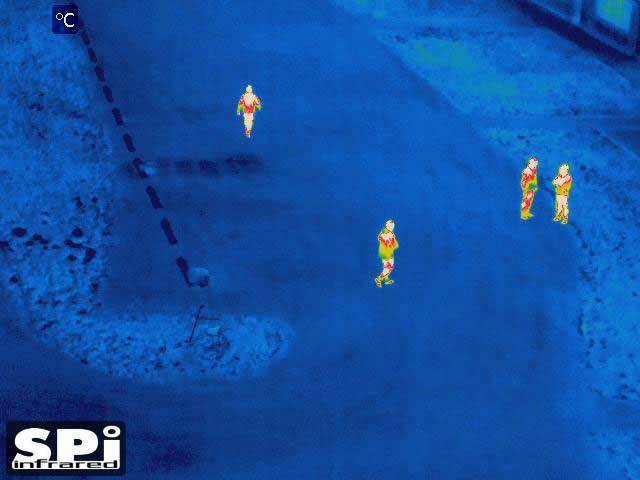 The M1-D UAV thermal camera is the latest multi sensor pan tilt infrared system from SPI CORP. 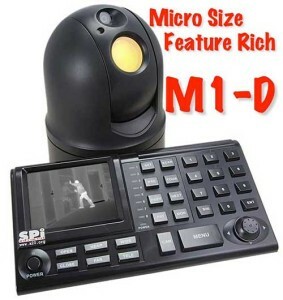 The M1-D is the first affordable micro PTZ camera to feature integrated thermal imaging camera (FLIR), CCTV camera and laser designator in an ultra compact rugged housing. The M1-D is an all weather gimbal remote positioning system suitable for mounting on a wide range of vehicles, vessels and stationary platforms. The M1-D is the breakthrough product that you have been waiting for to satisfy your imaging needs24/7/365. This is a very efficient unit with Nominal 1.5-2.0 amps @12VDC Max 2.5 amps consumption. The M1D is a great choice as a vehicle mounted FLIR camera for situational awareness, drivers vision enhancer DVE and search & rescue SAR applications. 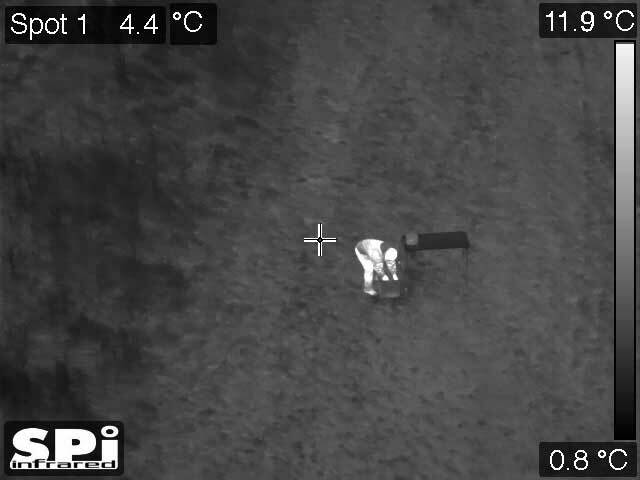 UPDATE: The M1D UAV thermal camera payload has been reduced to aprox. 2 LBS. weight, which makes it suitable for use in airborne remote sensing applications. SWAP is key to the M1-D system. The unit is ideal for UAV, SUAS, Multi / quad copter, hexacopter and remote imaging application. -Included and integrated within the M1D gimbal turret is a sensitive Daytime Color / Low light camera which offers 1028×768 resolution with TELEPHOTO ZOOM for extended range and very good Day/Night imaging capabilities that compliments the included FLIR thermal imager camera sensor & Laser sensor. 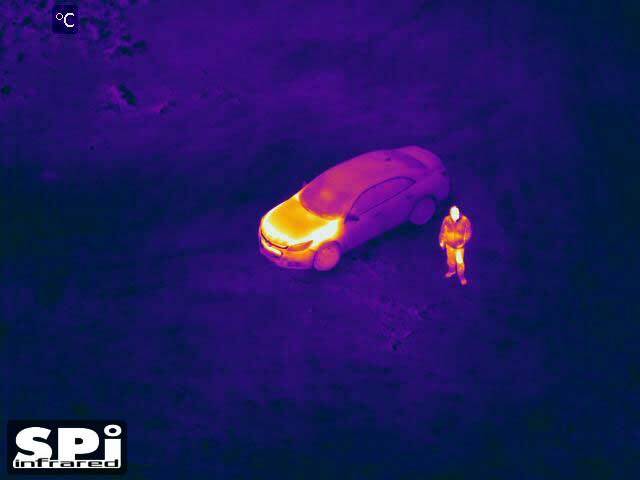 The M1-D UAV thermal camera for drones platform is available with the latest in high resolution HD thermal imaging sensors to give you an unrivaled view of the world around you. You have a choice of high resolution standard sensor or super High Res HD thermal sensors to fit your application and budget. Either way, the Micro M1-D is an impressive solution. NEW DEMO VIDEO! 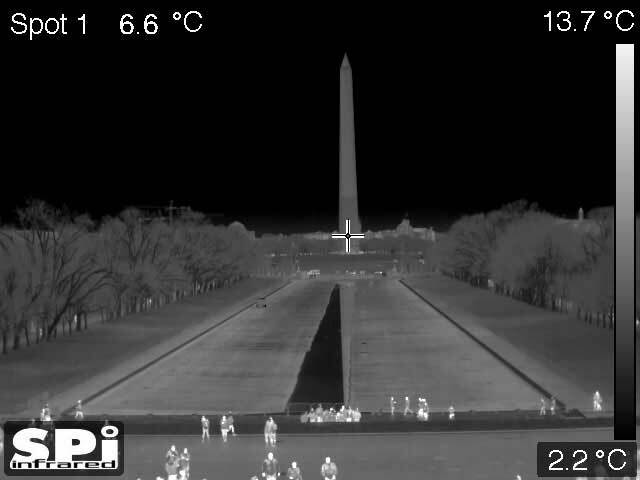 Check out the below video of the M1D UAV thermal camera. 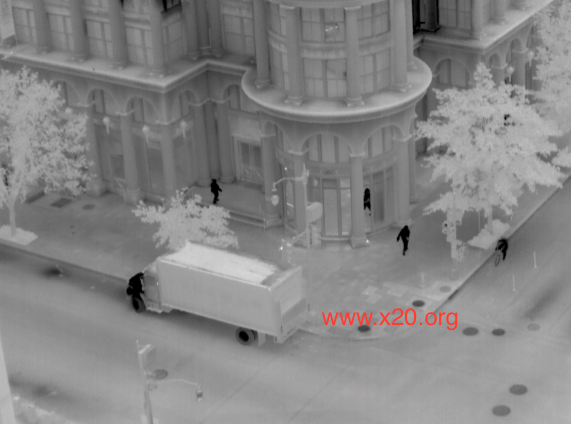 It’s smooth, ease or operability will ensure the best surveillance imagery for your operations. NEW – Ultra Low Light Day/Night HD X26 HFIS imager optimized to 1100 NM for SeeSpot 1064 (Link for the X26 Hyper Fidelity Intensified Sensor HFIS) / The X26 HFIS Camera is the Ultimate Day/Night HD imaging camera that offers unmatched performance in full daytime and very dark night time applications. The HFIS has Generation 3 Image Intensified image quality and sensitivity, without having the inherent problems of traditional image intensified systems, full sunlight and high energy scenes do not disturb the X26, with its super wide dynamic Range and ultra sensitive 1100 Nm detection capabilities. -White Hot imaging pallete is preset to all units, Color pallets are special order with MOQ. DOWNLOAD the M1-D Spec Sheet here! 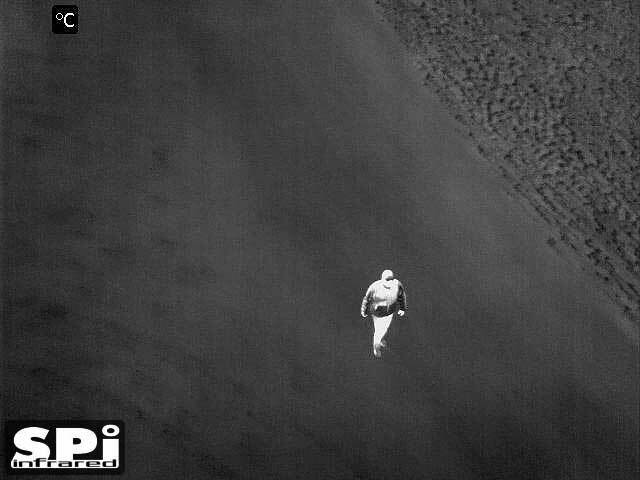 24/7/365 the M1-D UAV thermal camera is always there for you no matter what your mission profile is. This is the worlds first affordable Micro Pan Tilt Zoom system that incorporates high resolution thermal imaging sensors, CCTV visual imaging with instant zoom and a laser designator for always on target precision and persistent performance. 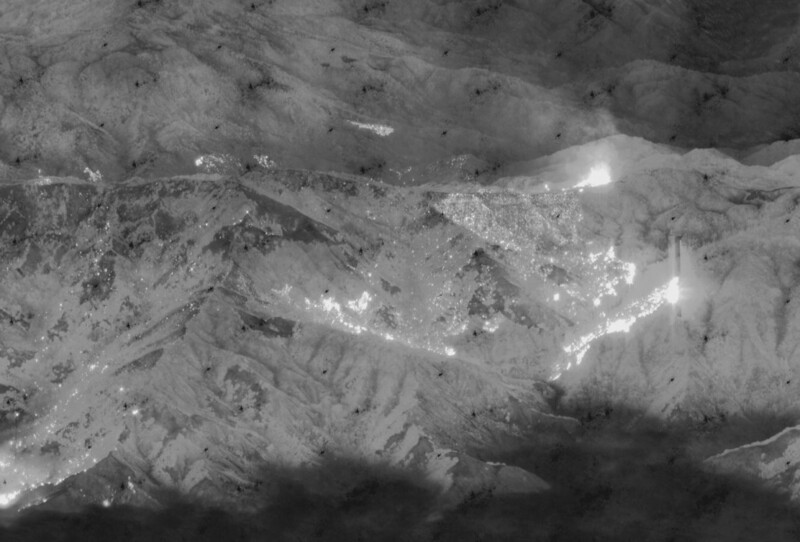 Thermal imagers see heat energy and not light so they work in any lighting condition from broad daylight to complete darkness. 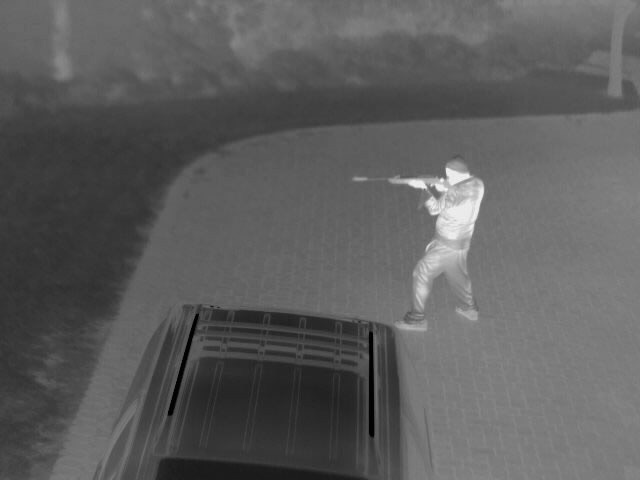 Thermal imaging is the undisputed king of night vision technologies. The CCTV camera gives you sharp visual light images in most all lighting conditions to aid in identification. The unique laser pointer module lets you designate threats to your team to keep you safe and let you get your job done. Weighing less than 3 lbs and measuring about 4.5″ in diameter, the M1-D UAV thermal camera gimbal turret is truly a micro sized powerhouse. Ideal for UAV / UGV, SUAS, drone, quadcopter and multicopter night vision, IED detection / UAV EOIR gimbal turret, tactical ISR, persistent surveillance and a wide array of custom applications. is an affordable turn key, high grade EOIR gimbal turret solution for land, sea and air optical imaging. With the M1D the “skies have eyes” in the field of UAV cameras for commercial, industrial, law enforcement and military persistent surveillance. 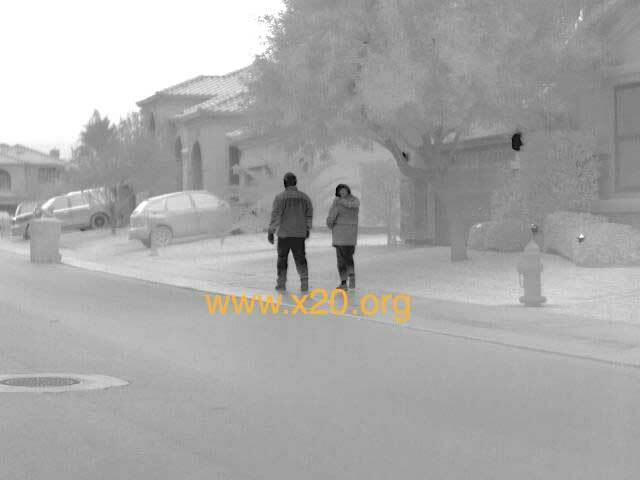 Black and white thermal imaging is the industry standard for surveillance imaging systems. The grayscale imaging palette provided with all systems produces crisp accurate imaging profiles of the scene you are viewing. A black and white TV also produces crisp images but you wouldn’t buy a black and white TV would you? Of Course Not (they don’t even make them anymore!). 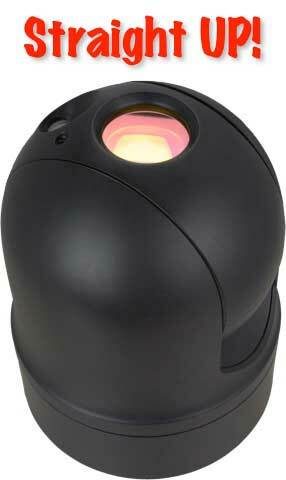 The M1-D is a modern thermal imaging system that offers you B/W and COLOR performance all at a low price. The DIY M1D is easily mountable to any drone, UAS, UAV or multicopter platform for enhanced imaging. 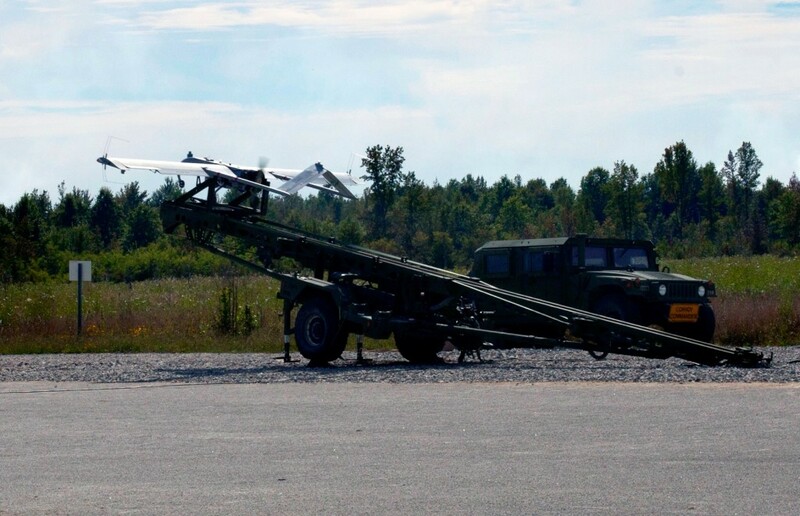 The unit has been outfitted onto many unmanned systems for commercial, industrial and military applications. The small gimbal turret is very stable and has many mounting options. 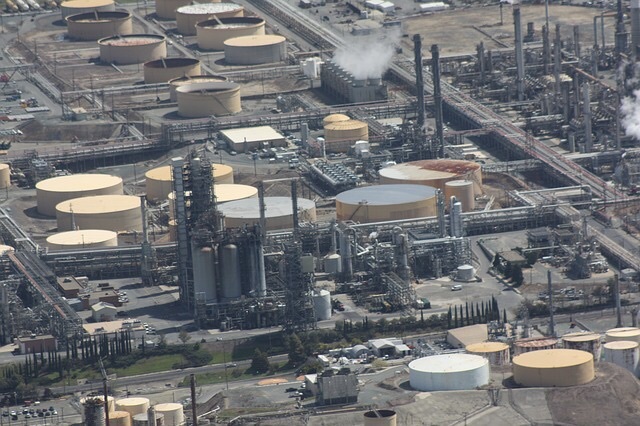 A huge advantage to the M1D gimbal is its affordability allowing the users to use an effective airborne imaging system with multi sensors and cameras. 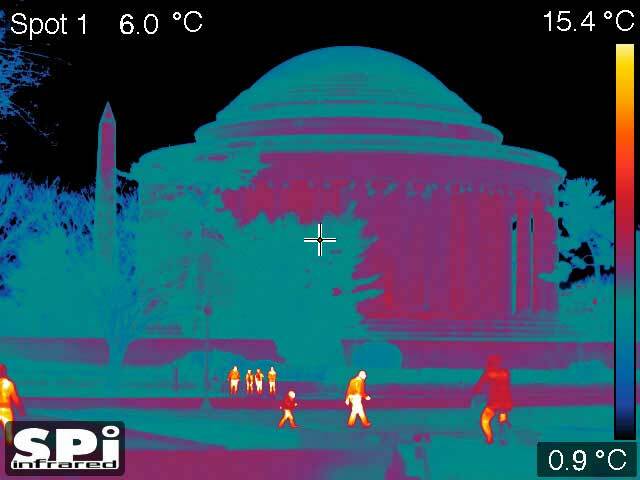 The thermal FLIR imaging camera channel now has optional radiometric capabilities allowing it to display real time temperature measurement of the scene and being able to measure temperature values in Fahrenheit or Celsius up to 1000C with accuracy of +/- 2%. 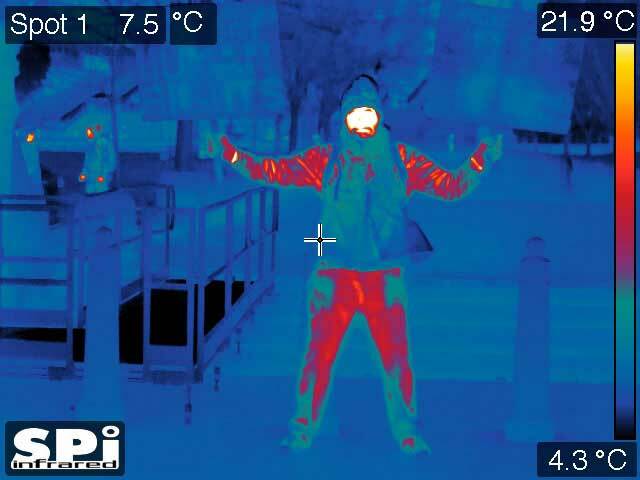 The hand selected thermal FLIR detectors have sensitivity of 1/10 of a degree therefore any subtle temperature changes in the image as small as a tenth of a degree will be shown and measured real time. The M1D can be used as the primary imaging gimbal turret payload or as a secondary backup situational awareness camera. The low price M1D has double layered rugged protection ensuring a rugged housing which works flawlessly in all weather scenarios. The on screen symbology on the users has useful data which can be turned off to just display the imagery directly from the sensors. SPI Offers The M1/STAB Image stabilization module which can be outfitted at the point of viewing and not at the M1D PTZ site, this compact device allows for effective image stabilization with user input preferences for stabilization equalization and roll/pitch amounts desired for a steady imagery, without spending thousands of dollars on multi axis stabilization. Weighing in at less than 3lbs…. Don’t let the micro size of the M1-D UAV thermal camera fool you this is a serious multi sensor imaging system designed for the harsh conditions of marine operations in the field. With the latest in thermal, visual and laser technologies the M1-D offers more to the user than systems three times the size and three times the cost. The M1-D can also be inverted making it the perfect option for mounting on mast and bridge supports. The M1-D FLIR camera is mall but mighty! The M1-D, this little guy packs a big punch! Really this is serious. Maybe you are not grasping just how small the M1-D thermal pan tilt camera really is. 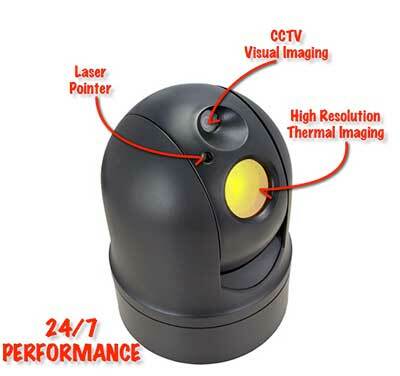 You are probably thinking “Ok it has a thermal camera in it plus its got a visible CCTV camera and oh yeah they said it has a laser pointer too so it can’t be that small”? WRONG! Not only is it that small it is smaller. Really it is. Okay how can we really demonstrate the true size of this device so that you can picture it in your head? The picture on the right with the measurements is a good start but its not intuitive enough……..hmmm. Oh that’s a good idea. Sure lets take a picture of the unit in someones hand. 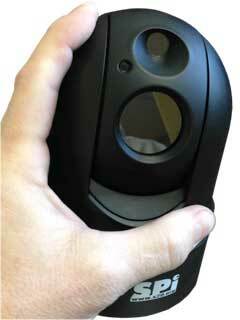 So small its the worlds first handheld pan tilt multisensor thermal camera!! NOW That’s a little guy! Never before has so much power and capability been able to fit in the palm of your hand. Get an M1-D and SEE what is out there. SPI has been designing, building and supplying thermal PTZ systems for a decade. Based on user feedback we know that you want options. 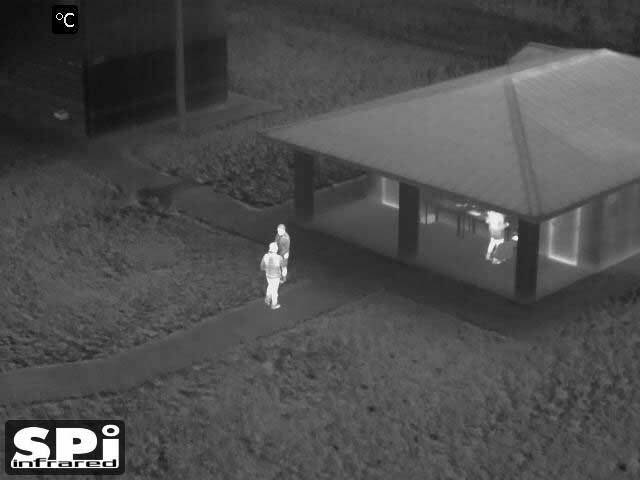 The M1-D UAV thermal camera has multiple mounting options based on your needs for real world solutions. 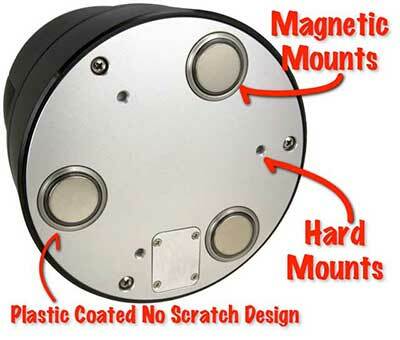 Magnetic mounts are super strong to hold to vehicles in virtually any conditions. Strong magnets are nice but it is the little details that set the M1 apart. Each super strong magnet is covered in a durable clear plastic coating that prevents the unit from scratching the roof of your vehicle. A nice touch from folks that really think about how you are going to use the system. In addition we have hard mount points for those applications that demand the strongest attachment possible. Whatever your needs the M1-D has got you covered. 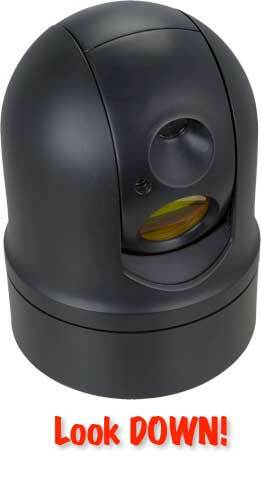 The M1D is the smallest and most affordable PTZ LWIR long wave infrared multi sensor Eoir camera system. 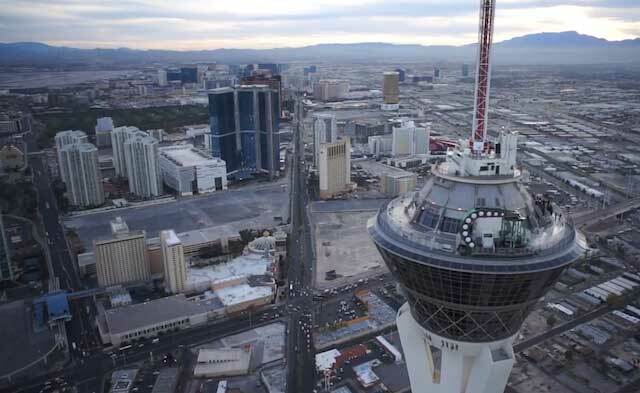 A view of the Stratosphere Casino from an M1-D infrared camera mounted on a UAV. 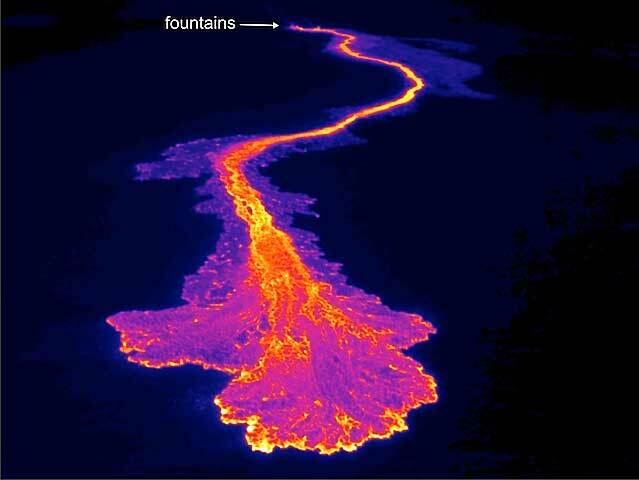 Footage from the M1-D Thermal Imager, from a Boat! Straight Up! Now Tell me! 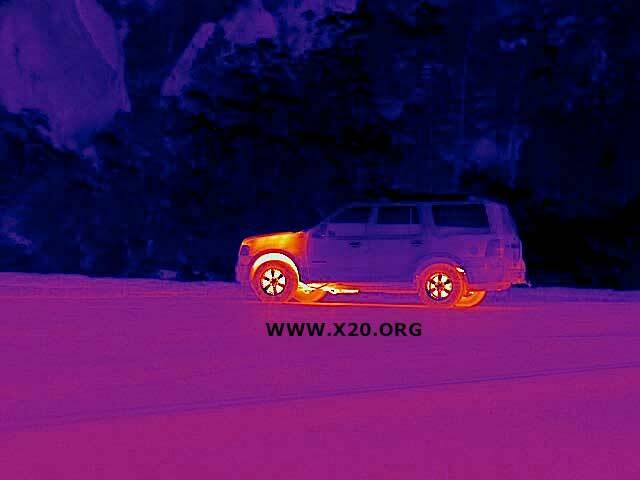 Our experience has also uncovered a nasty truth about most thermal PTZ systems on the market. The truth is that they all have blind spots. WHAT? How could that be? The problem is that most of these systems cannot look straight up. This means if you are tracking airborne threats or up a hillside you will run out of motion and loose the target. Now tell me, don’t you want to look straight up? Call us and we can also talk inverted operation sir. 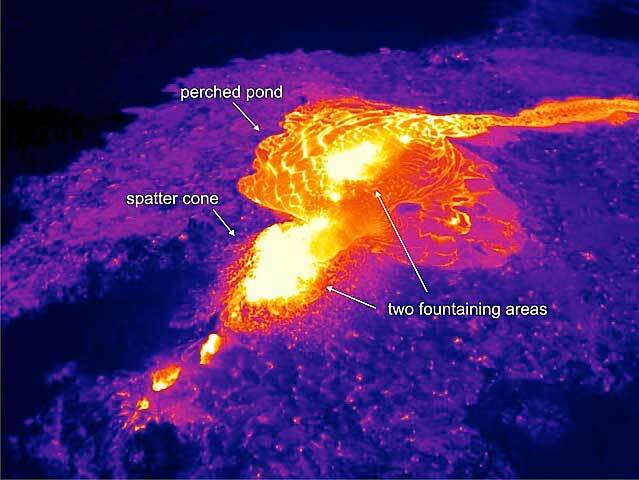 Stunning unmanned UAV FLIR thermal infrared image of Lava Flow. 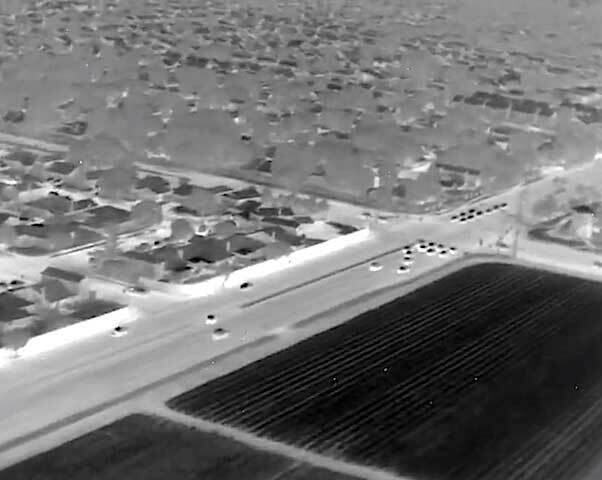 Airborne UAV FLIR thermal image of agricultural crops and suburban sprawl. They Can Run But They Can’t Hide From Thermal Security Cameras. 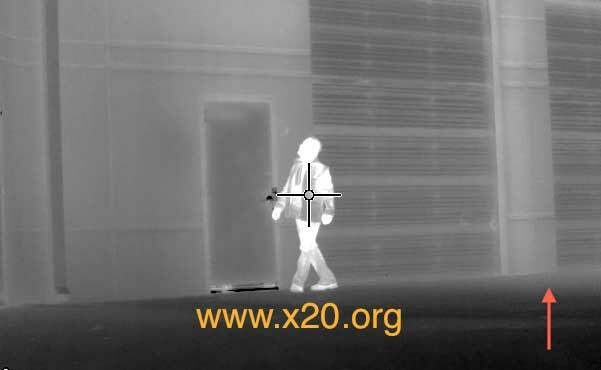 High Resolution Thermal Imaging For Your Security. M1-D The New Low Cost Aerial Thermal Imaging Gimbal Solution. The M1-D thermal pan tilt zoom system is mounted on a twin prop aircraft for flight testing. Many companies are selecting the M1-D as the future of low cost thermal aerial payloads. 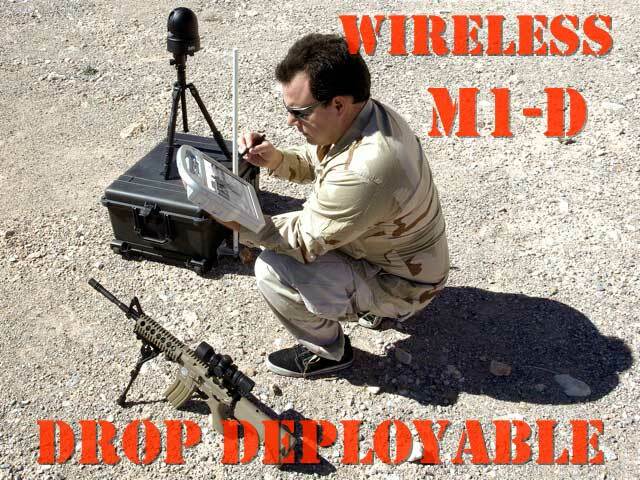 The M1-D is available in single or multiple unit drop deployable wireless configurations. Our wireless thermal PTZ systems give you an unprecedented capability to remotely control PTZ systems from any distance and any location. Contact us now to discuss the options. UAV / SUAS DESIGN AND MFG COMPANY INQUIRED ABOUT A SMALL AFFORDABLE UAV SUAS CAMERA GIMBAL SYSTEM AT AN AFFORDABLE PRICE TO KEEP COST DOWN TO THEIR CUSTOMER AND TO BE ABLE TO CUSTOM INTEGRATE A PTZ THERMAL CAMERA INTO THEIR EXISTING PRODUCT. 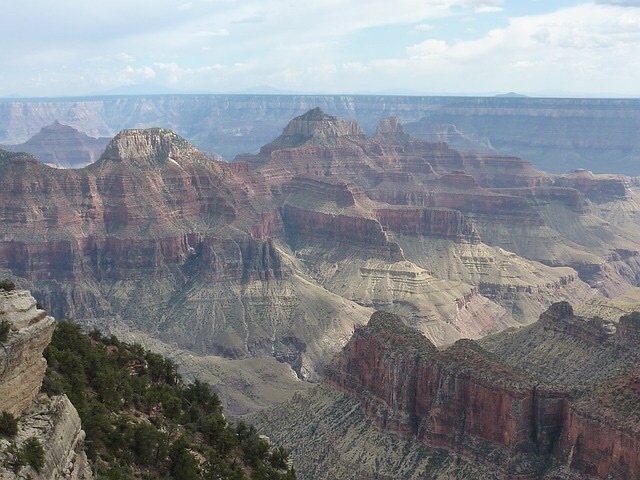 SOLUTION: Large format M1D uncooled aerial gimbal unit was procured, integrated and successfully demonstrated to end user meeting all requirements for a rugged UAV Gimbal. TACTICAL GROUND VEHICLE INTEGRATOR SOLICITED RFQ’S FOR LIGHTWEIGHT, MINI, RUGGEDIZED MULTI SENSOR PTZ FLIR CAMERA FOR DVE AND SITUATIONAL AWARENESS APPLICATIONS. SOLUTION: M1D FLIR camera System purchased and custom installed into existing PELCO protocol control package satisfying end user criteria for ruggedness, imaging quality, SWAP, recognition and detection range requirements. HIGH VALUE MARINE VESSEL OPERATOR SEEKING A SOLUTION FOR MARINE NAVIGATIONAL PTZ THERMAL AND CCTV BOAT CAMERA SYSTEM WITH IMAGE STABILIZATION. SOLUTION: M1D marine Thermal imaging System Purchased and proved to be a stable imaging system for use in day and night ocean maneuvering missions while being able to ‘plug N play’ into existing boat monitoring cluster. 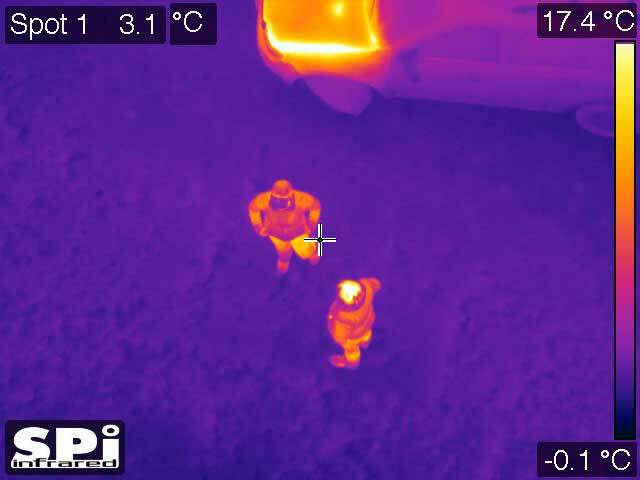 PREDATOR CONTROL (FERAL HOG) OUTFIT LOOKING FOR A COST EFFECTIVE MOBILE ROOF MOUNTED THERMAL IMAGING FLIR SOLUTION TO SURVEY WIDE AREA SURVEILLANCE FOR POSITIVELY IDENTIFYING HOGS PRIOR TO EXITING VEHICLE AND ENGAGING WITH THERMAL SCOPES. 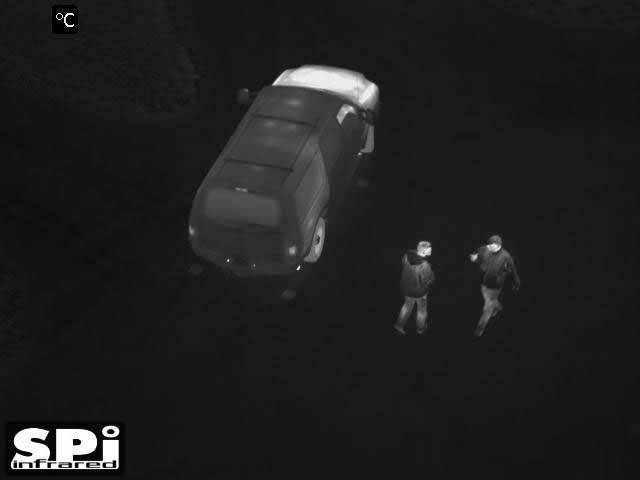 SOLUTION: M1D PTZ thermal roof mounted mobile FLIR camera with magnetic mounts and 8″ monitor / PTZ controller resulted in more effective feral hog hunting with time saved for ground operators. SECURE SITE FACILITY PROGRAM MANAGER LOOKING TO REPLACE OLD THERMAL IMAGING CAMERA SYSTEMS WITH NEWER STATE OF THE ART DAY / NIGHT VISION PTZ GIMBAL INTEGRATED WITH LASER FOR THREAT DETECTION AND MARKING. 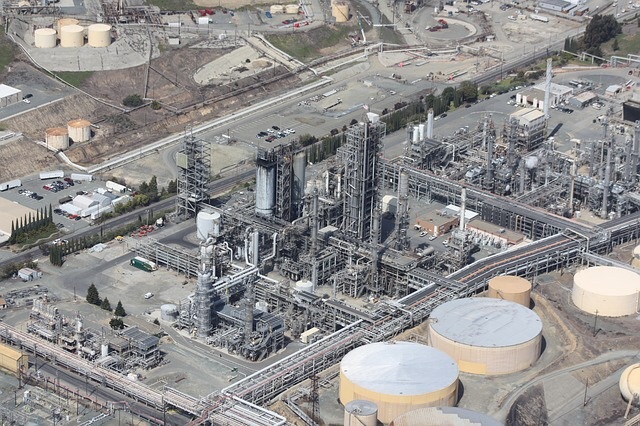 SOLUTION: M1-D fixed boresightable high definition thermal PTZ imaging cameras solved the requirement and fused into one central command and control outpost along with meeting budgetary requirements. SPI Offers The M1/STAB Image gyro stabilization module which can be outfitted at the point of viewing and not at the M1D PTZ site, this compact device allows for effective image gyro stabilized with user input preferences for stabilization equalization and roll/pitch amounts desired for a steady imagery, without spending thousands of dollars on mechanical multi axis gyro stabilization. 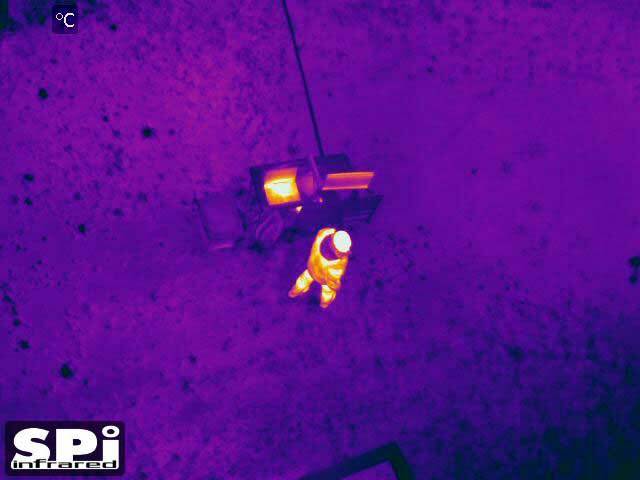 The M1-D UAV Thermal Camera can be mounted pretty much anywhere.